Short brake and clutch levers offer considerable advantages over the levers fitted as standard by manufacturers. Greater control over the braking function and clutch control. A shorter front brake lever allows the rider to cover the front brake with two fingers while curling the other two around the throttle, thereby maintaining positive control , a quicker response time and less fumbling in stop-and-go traffic. Not only does this add confidence but also improves overall handling ability, especially when standing. In the event of an emergency a shorter front brake lever greatly reduces the reflex response to grab a “handful of brakes” which could result in the front wheel locking up and either the wheel sliding from under the rider or the rider going over the handlebars. Riders don’t crush their 4th and 5th fingers when operating the clutch lever. Enhanced feathering/control of the clutch in technical riding conditions. 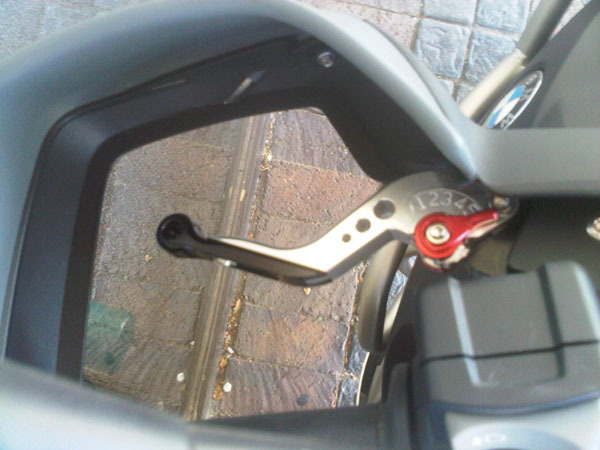 Reduced instances of clutch and front brake levers being broken in the event of the bike falling over or being dropped. 6 stage adjustable reach (forward /backward rake) allowing for a customized setting as rider’s finger and hand lengths differ. This 6 stage adjustable feature can be done even while riding. 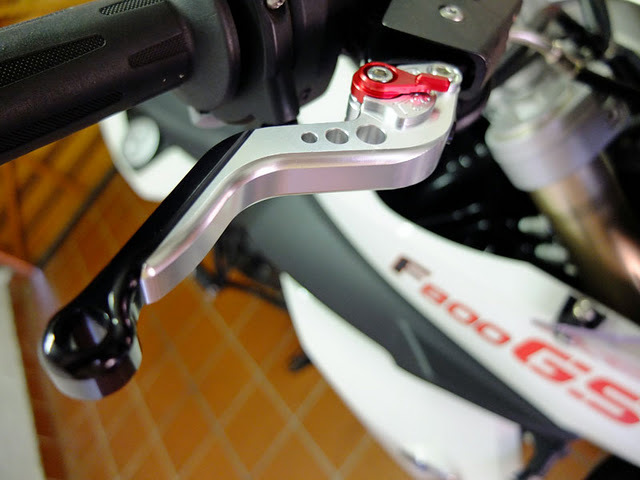 Adjustable in length from 40 mm to 60 mm allowing for example a longer clutch lever length , if required. Rounded ball end for comfort and safety (not a sharp hooked end). Easy to install with no modification necessary.